The archive is a repository of audio and video interviews recorded during research projects conducted by the University and local groups. The archive includes histories of the Hatfield Aerodrome and of the University of Hertfordshire; a number of ‘oral histories in a day’ projects including interviews with the staff, players and fans of Stevenage Football Club; and archives stored for local groups including the St Albans Masorti Synagogue. The original files are stored at the university, while this web site provides public access to those recordings that the interviewees have agreed to make freely available. The archive was constructed with the support of an award from the University of Hertfordshire Charitable Trust to commemorate the University’s 60th anniversary in 2012. Many of the interviews made available through the archive were collected by the Oral History Team of staff and students. The team, led by Senior Research Fellow Andrew Green, works in conjunction with the University’s Heritage Hub, which foster partnerships between university staff from all disciplines with heritage expertise, and voluntary groups, public institutions and commercial organisations with interests in heritage. The team has been professionally trained to collect large number of interviews in a single day. They can work with individuals, community groups, institutions and businesses to create and capture historical evidence and memories. 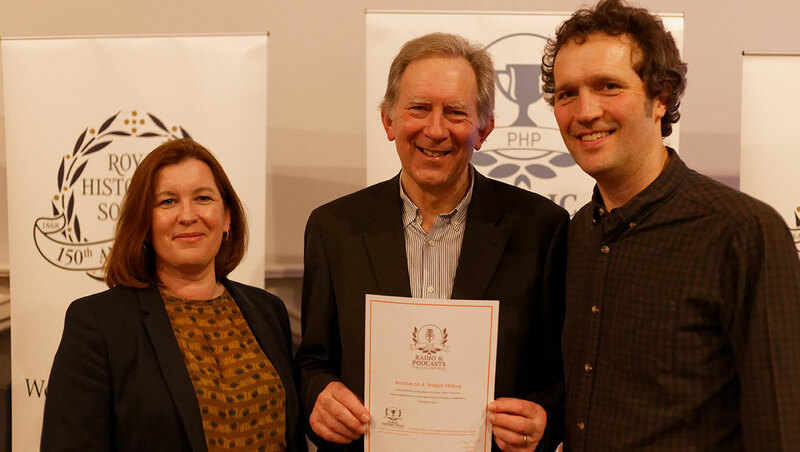 The Oral History Team were proud to be commended by the judges in the 2018 Public History Prize by the Royal Historical Society. The award was given to Andrew Green and the team for their BBC Radio 4 Archive on 4 documentary, 'Instant History'. The programme was made in collaboration between staff and students. Read more about the project.